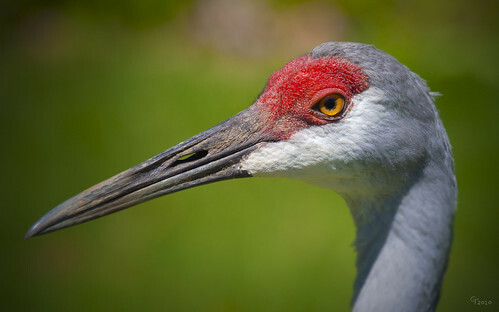 Sandhill Crane, originally uploaded by Thomas Gehrke. I'm not sure I would say this guy is pretty, but at least he is in focus with a decent amount of detail. The experiment in this case was to create a faux HDR image by creating copies of the original RAW file with different exposure settings and then using the Merge to HDR Pro option of Photoshop CS5. I was able to get back some detail in the white feathers under the eye that were a bit overexposed.